Alesis’ Pro X Hi-Hat is a dual-cymbal, continuous hi-hat controller that brings natural hi-hat playability and feel to Alesis DM10 and DM8 drummers everywhere. Precisely calibrated for the Alesis DM10- and DM8-series electronic drum kits, Pro X Hi-Hat integrates seamlessly with and expands the expressive capabilities of these popular electronic instruments. With Pro X Hi-Hat, you get all the advantages of an electronic controller without sacrificing the natural feel of an acoustic hi-hat. The 12-inch single-zone top and bottom cymbals provide a wide responsive area for triggering samples from the DM10 and DM8 sound modules. Tap into these high-quality Alesis drum and percussion modules to create open, half-open, closed,” chick,” and splash sounds with Pro X Hi-Hat. Plus, Pro X Hi-Hat is compatible with standard hi-hats stands, making it easy to implement this versatile controller into any electronic or hybrid drum-kit setup. Why is a clutch included? The clutch provided ensures a tight fit with the anti-rotation assembly (no-spin adapter) included. What do I do if the pull rod on my hi-hat stand is too wide for the Alesis provided clutch? Even though a clutch is provided with your purchase of the Pro X Hi-Hat, you can still use clutches from other brands! Users have also reported success using some ""quick-release"" clutches. Which Alesis drum modules will work with the Pro X Hi-Hat? The Pro X Hi-Hat will only work with the DM8 and DM10 modules after the firmware update has been performed. This firmware update is necessary to provide calibration for the Pro X Hi-Hat to respond fully. If I do not have an Alesis drum module can I still use the Pro X Hi-Hat? Users have reported success using the Alesis Pro X Hi-Hat with other popular drum modules. How do I perform the firmware update? For Pro X Hi-Hat to work correctly with your DM10 module, follow the procedure below to ensure your drum module is using the latest firmware. Note: If the update fails at any point, DO NOT power-off the drum module. Instead, repeat the procedure above from Step 2 onward. Go to www.alesis.com and download the updater application and files for your specific kit: DM10 Studio Kit, DM10 Pro Kit, or DM10 X Kit. This includes the firmware files labeled Boot, App, Triggers, and Sound ROM. Disconnect everything from your drum module except for the power adapter. Disconnect any USB MIDI or USB audio devices from your computer. Exit any open applications on your computer. Use a standard USB cable to connect your drum module to a USB port on your computer's rear panel. Windows users only: In the MIDI Interface menu, select the DM10 port (on Windows 8, Windows 7, or Windows Vista) or USB Audio Device (on Windows XP). Select File, select Open, and then click the .syx file in the 2 - DM10 Boot folder you downloaded in Step 1, but DO NOT select Open yet. Press and hold the drum module's REC button, and then select Open in the updater. Once the update begins, release the drum module's REC button. The drum module's display will tell you to reboot it. Power off the drum module, and then power it back on. After the final file, the drum module's display will tell you to reboot it. Power off the drum module, and then power it back on. For Pro X Hi-Hat to work correctly with your DM8 module, follow the procedure below to ensure your drum module is using the latest trigger firmware. Windows users only: In the MIDI Interface menu, select the DM8 port (on Windows 8, Windows 7, or Windows Vista) or USB Audio Device (on Windows XP). Select File, select Open, and then click the .syx file in the 2 --- DM8 Trigger folder you downloaded in Step 1, but DO NOT select Open yet. Will the firmware update cause other hi hat pedals not to function with my Alesis module? The firmware will have no effect on the hi-hat pedals included with your Alesis drum kit. Can I use a remote hi-hat? 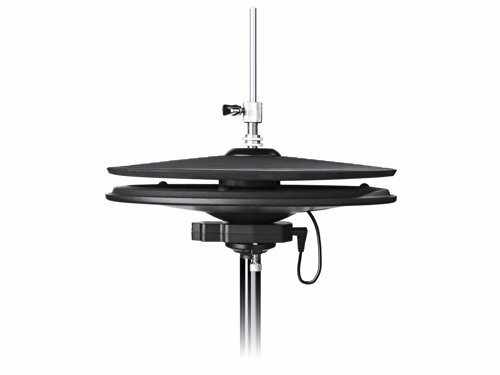 Users have reported success using a variety of remote hi-hats without any troubles.